Marriott Library has searchable editions of paper from 1871-1919. Photo courtesy of the Marriott Library The Feb. 11, 1893, front page of the Brigham City Bugler. 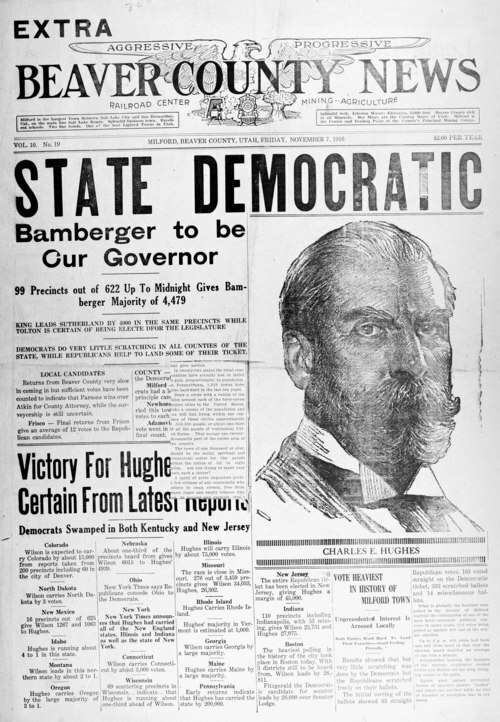 Photo courtesy of the Marriott Library The Nov. 11, 1916, front page of the Beaver County News. 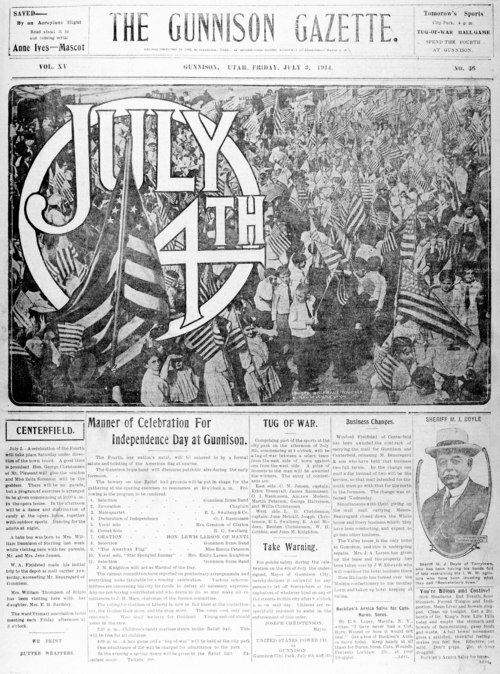 Photo courtesy of the Marriott Library The July 3, 1914, front page of the Gunnison Gazette. Photo courtesy of the Marriott Library The Feb. 12, 1943, front page of the Mt. Pleasant Pyramid. Photo courtesy of the Marriott Library The Dec. 12, 1917, front page of The Salt Lake Tribune. 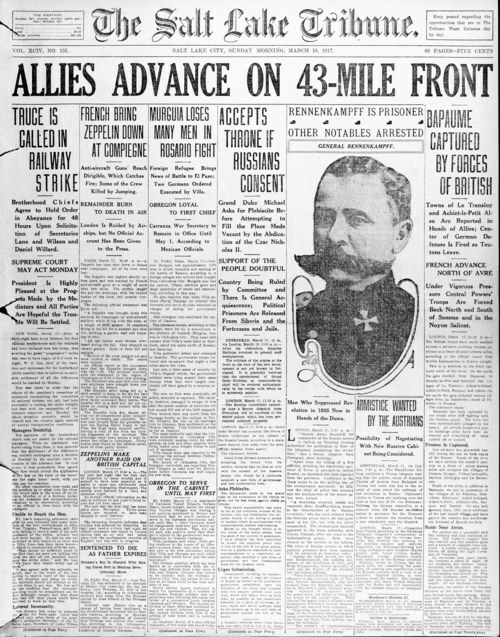 Photo courtesy of the Marriott Library The March 18, 1917, front page of The Salt Lake Tribune. 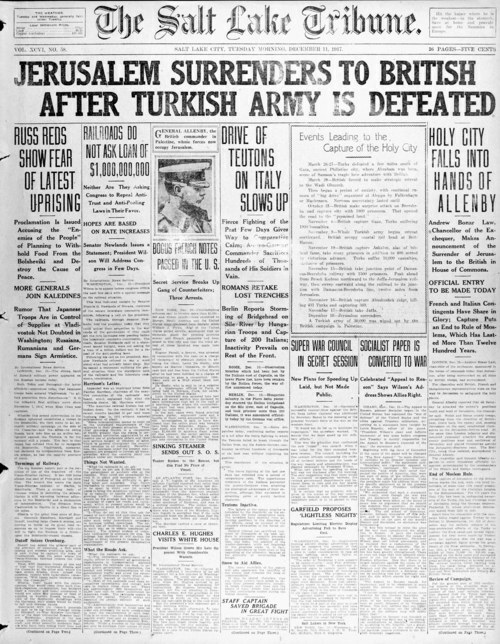 Genealogists, historians and other researchers stand to benefit from the addition of four years of World War I-era editions of The Salt Lake Tribune to the Marriott Library&apos;s Utah Digital Newspapers project. 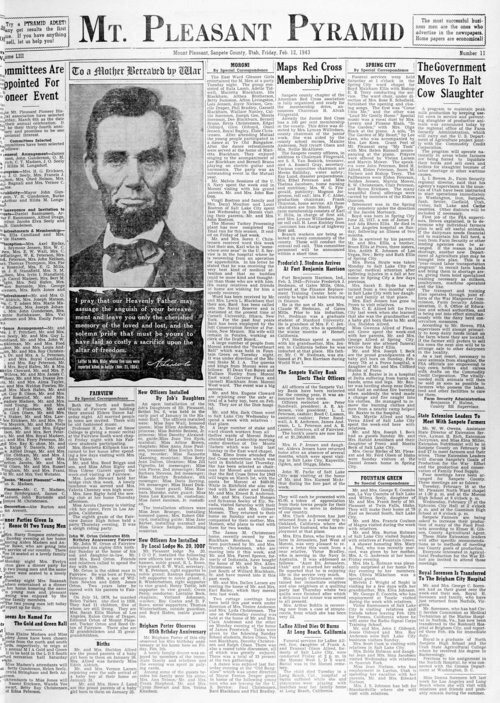 Newspapers from 1914-1919 have been digitized and added to the online archive, which now includes searchable editions of The Tribune from 1871-1919, the library said. In all, 175,000 pages of the newspaper are available as part of the project, which began in 2002 and since has digitized 1.5 million pages from 100 historic Utah newspapers. The searchable archive is available at digitalnewspapers.org. Newly added editions of The Tribune were digitized from some of the more than 2,500 bound volumes of the newspaper that MediaNews Group, The Tribune&apos;s owner, donated to the University of Utah in a deal finalized in July 2009. Salt Lake City bookseller Ken Sanders valued the gift of newspapers from 1871 to 2003 at $650,000, according to media reports at the time. The library intends eventually to digitize all editions of The Tribune, said John Herbert, head of digital ventures for the library and program manager for the newspapers project. The project, which the library said draws about 174,000 genealogists, historians and other researchers annually, recently added pages from four rural Utah newspapers new to the project. The four papers are the Brigham City Bugler (1891-1895), the Gunnison Valley News (1909-1935), the Milford/Beaver County News (1916-1946) and the Mount Pleasant Pyramid (1912-1950). The Milford paper was added at the request of Dell Vaughn McDonald, a retired Air Force colonel. "I spend a good deal of time doing historical research, so having my hometown paper at my fingertips is a wonderful convenience," McDonald said in a statement. Herbert said the project receives no state funding and must raise money to move forward through grants and donations. In its 11 years of existence, it has raised $3.9 million, he said. The recent additions to the online archive were funded in part by a grant from the Utah State Library Division, Department of Heritage and Arts, and the Institute of Museum and Library Services, which administers the Library Services and Technology Act. "This is a fantastic resource," Herbert said, not only because it offers readers insight into which types of local news were important in Utah cities and town but also because readers can see how newspapers covered World War I and other historic national and international events. Organizations such as the Park City Museum, Davis County Library, Uintah County Library and Grand County Library are among project donors. Vernal residents are "thrilled to have online access to the Vernal Express," Sam Passey, Uintah County Library director, said in a statement. "The investment we&apos;ve made in the project has reaped great benefits," he said. "We hope to continue our support, bringing even more issues online." 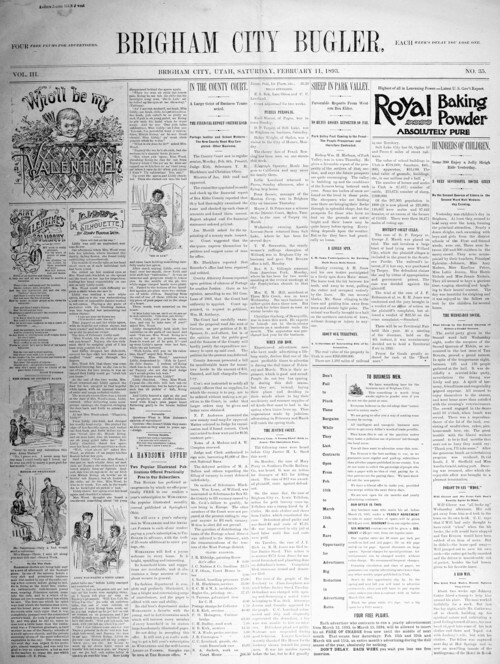 Readers may search 100 historic Utah newspapers online at digitalnewspapers.org.